If content is KING, where is the KINGDOM? A must-read post! →If content is KING, where is the KINGDOM? A must-read post! The whole idea of blogging and content marketing is like a kingdom and we know the 3 main components of a complete kingdom The KING, the KINGDOM and the RULED or the subjects. That’s exactly what blogging is. If any of these lacks or has a deficiency, the whole kingdom is sick. If content is King, where therefore is the kingdom? What about the ruled? 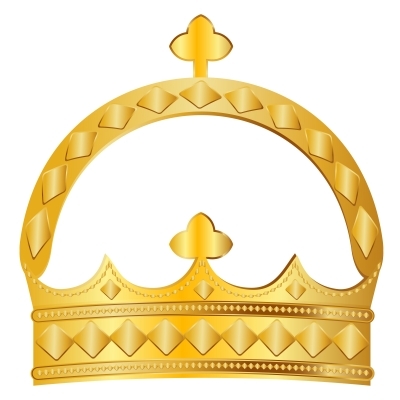 In content marketing, we have laid so much emphasis on the content being the king. There can never be in king without a kingdom and the ruled. Let’s look at these parties differently and see how they relate to blogging. I’m sure most of us blogging have that question to ask. You have spent hours and sometimes money to develop what you may call ‘killer content’ and at the end, you get wholly disappointed that the once thought ‘killer’ content does not seem to have enough traction. I can understand why this is so – the reason is that your blogging kingdom is incomplete or simply weighing side-ward. What’s the solution? Yes! For a kingdom to be stable, all the components must be given their different places and you being the god of your kingdom have to mobilize resources to put things up! There can’t be a king without a kingdom! If you say you are king, show me your kingdom. If content is king, then the blog has to be the kingdom where the content reigns. A lot of things therefore have to be put in place to build an attractive kingdom. What attracts tourist to our earthly kingdoms are the beauties – natural and artificial. We all have read some history and known of the great ancient Egyptian kingdom and its attractions. As a matter of fact, the more a kingdom is endowed with attractive beauties, the more it gets known and visited and each visitor seeks to meet the king with precious gifts and wine. Is your blog attractive enough? You have to position your blog to attract visitors and each time they come to your blog (the kingdom), they should seek to visit and interact with your content (the king) with gifts (engagements). Syviane and Don in their blog posts mentioned blogging communities to be active on. That’s how to attract visitors to your kingdom (your blog). I don’t want to repeat what they have already said here. So check out their posts for some recommended active blogging communities. Think about it! How did you know about the Egyptian kingdom? Most of us reading this post know some of those stories but we have never been there physically. You read about it in documents right? Someone published it there for you to read. Same thing applies to blogging. You have to get your blog published on those sites for people to discover it. Search engines are doing their jobs but you can’t rely on them. They are becoming so unreliable. They can change their terms at any time and throw you off the board. No matter how beautiful your blog (kingdom) is and no matter how powerful your content (king) is, there is need to step out and tell the world about it. This is the only way to attract them. Every king needs a kingdom and in every kingdom, there are the ruled. Kings don’t rule over stones. They rule over people. If your blog is the kingdom and the content king, then the readers are the subjects. One common characteristic of kingdoms is the urge to expand on their sphere of influence – they want more space and more people to command. Isn’t that what we do daily? We want more coverage, more readers, more backlinks, more mentions, more followers, etc. If a certain kingdom covers just 3000m3 and doesn’t seek to expand, it will soon be overcome by other growing kingdoms. The next thing is that it will fold up. You can’t gain more expansion by sitting in and developing content. You must lunch out into the deep and conquer your neighbors. Competition is tough and if you aren’t tough too, watch how you are pushed under. So what do you think about this whole point of content is king? Wow… Interesting post… That’s really a good fact..
For me, I would also place seo as the Queen … 🙂 since content is the King and blog is the kingdom. ..
SEO as queen 😉 and what about other sources of traffic? It’s great explanation and easy to understand. In my experiences, just content is not enough to make the site popular. I love your analogy here. We all need subjects in our kingdom, otherwise it will be rather dull! Content is King, SEO is Queen and readers are the subjects. Awesome! Good to see you here and thanks for the engagement. So you think SEO is queen 😉 What about social media? Enstine Muki recently posted…How CashDonator is helping me make money – My experience! readers are the blood of our blogs and we must take care of them! So write interesting things, solve your audience problems, produce epic content! I like the aspect of solving problems in your comment. That will make your blog a strong point of attraction. Awesome headline first of all Enstine, and very good post as usual. Everybody talks about content being the king but nobody know what its kingdom was. Pramod recently posted…How to Delete a Blog You Follow on Blogger? Great Post and I loved the analogy of content being King, our blogs the Kingdom and our readers the subjects. Indeed, Content is King and it will remain so but we need to put it out there for people to get the value it is intended to provide. But even the greatest blog posts with the most well-crafted title, opening line, or eye-catching images won’t get any attention if no one knows about it. Promoting it is crucial for it to go viral and get more eyeballs to our Kingdom. I just came from Sylviane’s blog and I was surprised to see the same title here. It looks like it is a viral question going on in the blogosphere and bloggers need to find ways and strategies to promote their kingdoms. BTW, I was happy to read your example about the Egyptian Kingdom as I am Egyptian myself. You made me proud. LOL. Thanks Enstine for a great post!! I enjoyed reading every word. Have a great week ahead. Wow! I’m so excited to know you are from Egypt. I think I have not met many from your country blogging. Are you blogging right from your country or you are somewhere else? Enstine Muki recently posted…WordPress Spam – ZERO Tolerance with #Hashcash! No, I blog from Toronto, Canada. I immigrated to Canada 14 years ago. I don’t think blogging is popular in Egypt. I learned about it here only. Enstine Muki recently posted…Increase search engine traffic Guaranteed! Little known trick exposed! Excellent post!!! I really love your illustration that a King without a Kingdom is not a king just because he says so. That’s an awesome way to put it!!! I couldn’t agree with you more about search engines. They, and social media, are what I call “rented” platforms. Because you don’t own them they do what they want when they want. As a result, they can disrupt your traffic very easily and quickly. While I want traffic from them, I still have to find other ways of reaching and connecting with my audience. That’s where promoting, marketing, and especially engaging with others is so important!!!! Great post! Thanks again for sharing! Don Purdum recently posted…Why Should I Visit Your Website, Stay On It, or Buy From You? Enstine, please forgive my typo on your name 🙂 I”m so sorry!!! Thanks again for visiting and hope to see you around again Don. Wow! I’m loving all the comments on your article! One of the great things I’m enjoying is seeing how one idea can evolve. It’s neat to see from my article, to Sylviane’s, to yours. It’s so good to connect with you! I have a lot if reading on your blog to do this week. Thank you for visiting my blog as well as while we’re growing. I love the connections that are being made and the alliances that are forming. It’s amazing what can happen with great content, good marketing, and people that you can develop relationships with. I understood very nicely the meaning of this informative article. Now, I am going to keep my keen eyes on various things while creating content because i have to rule on my kingdom through content. Thanks for this beautiful post. I got this precious piece of thought on kingged.com and became attracted to read completely. A very debate-igniting topic and you did it your call to action. Pick the best option from several to resolve an issue. Exactly if content is king then readers are subject but they are the subject who have the power of vote to dethrone a king if he does not deliver. Thanks a lot for sharing this wonderful and thought-provoking post. I retweeted it for the benefit of my network. I love you mentioning the voting power of the ruled. In many cases though, this is hereditary, leaving the subjects with no voting power. Wow, this is really different thinking! King , Kingdom and Rulled ! I am really impressed they way you explain such a simple thing of blogging! You are absolutely correct! Content is King, the blog is the kingdom, and the reader is the subject! The King and his domain mentality is applicable to blogging! I like the comparisons. They make sense for the now and the future. Content should strong, viral and attractive like a King and his domain. If this is in place then readers and visitors willing to engage and take action! By the way, the Don Purdum’s article on “If Content is King why isn’t Anyone Reading my Blog?“ is revealing! You have beautifully explained on the jargon. Every blogger comes into blogging profession to build an influence and grow their leadership on their niche knowledge. One is as much powerful as their subjects are, sure blog is the Kingdom and it should be given proper care to expand it to its highest potential. One should remember there are many other bloggers trying hard to push their limits, so one needs to work fast and hard. Nice post, the key to success is to be a leader in the profession and deliver the true value to the ruled. Anyway, I found this on Kingged. Great analogy here! I never thought about it but yes, your content is king, your blog is the kingdom and your visitors are the subjects. Your kingdom can become popular through word of mouth, Social Media, commenting, etc… Give your readers what they want and your kingdom will flourish! Thanks for sharing! I used to think that Killer Content was how the English grammar in the sentence were structured and created, but found out that Killer Content means what your audience want to hear or what your audience want to read. Content only becomes King when you have an audience around. So yeah, those 3 elements are very important. You nailed it down. Anyway, thank you for sharing your thoughts. Have a wonderful Wednesday! Enstine Muki recently posted…Sociallinkmart Review – Make money! Drive traffic! So, what you just shared is something interesting and unique I found to read today. King, Kingdom and the Readers, this is an interesting subject to discuss on and there won’t be any ending to this. We have always been hearing about King and Kingdom but now the all has been compared to blogging now, it seems to be OK.
It’s completely unique and up to the point.You have covered all points and made it interesting to read.Content is the no doubt the king,but subjects are as important to build our kingdom(blog). Hope to see you around again and soon. You really made this post interesting by telling blog is the kingdom and I really agreed with your views. To make your blog kingdom you must promote it so that more and more relevant people come to know about it and spend time. That’s a superb post Enstine. Always heard that content is king but no one took as a post idea and explored it like you did. You are 100% correct that content is king but our blog is the kingdom. I visited your blog after a long time, and this post immediately caught my attention. Actually I read both articles of Syviane and Don about contents at kingged.com. Both articles really informative. Enstine I like your article’s title i.e.”If content is KING, where is the KINGDOM?” very attractive and mainly the way explained all the concept is awesome. Ya this is absolutely correct because every king have his own kingdom. Thanks for sharing this informative article with kingged community……………!!! I’m glad you liked and got attracted to the title. Sylviane and then Don inspired me to write this article that took me about 45 mins – 1 hour. Sorry for being so late on a post that mentions me, but I wanted to be sure to have the time to read every word. What a creative post you’ve got here. Genius idea about the king , the kingdom and the ruled! It’s just so true! No king can just sit around doing nothing, so the king (our content) needs to show himself around. So we can use our kingdom (our blog) to do that. Once the kingdom and the king let themselves known, then subjects (readers) will flow in large amount. Thank you so much for mentioning me and for this well put together post. Content is King, Blog is the Kingdom and readers are the subjects. I’ve read Syviane’s article and was stunned with the clarification and the solutions she gave/revealed on the blog post. The Kingdom/Blog is successful because of the King, which ruled the people well and balanced everything. You are one blogger I respect in the Blogger University just like Chery, Ryan, and many others. Thanks for sharing! More power! What a wonderful post.Thanks for sharing such a nice information. I like your comparison between a blog and a kingdom and the conclusion that there can’t be a king without kingdom and rulers. I’d like to add the diplomats that are going out and make connections with other kings and kingdoms in order to expand their own. A few of the examples for such diplomats are certainly comments, linking out to other kings or social shares, as they do exactly this. Nice post brother, really awesome. I have the king on my side, the kingdom is set too. Time to gather more people to live as the subjects, and your comment on BloggingCage inspired me to read this post. It’s a really nicely written post. Keep it up bro! Thanks for this supercool post. You did open my eyes. Everybody said that content is the king, but no one thought there-after. Who’s the queen and the kingdom? I remember reading something a while back from Corbet Barr’s website where he said that if content is king, then promotion is the prime minister. The problem that I believe many people have is that they invest all that time and energy into writing “great content” and then don’t invest that same energy into promoting it. Just my thoughts. But this was a great post indeed. Nice to meet you here and thanks for your comment. I think the right thing is to balance up 😉 While writing great content, there is need to get readers to it. You are right this is a must read post. We all heard about the king but you just unlocked the door of kingdom with some beautiful content. Now all can enter into your kingdom freely. Once again thanks for writing such a wonderful post. Well I read Don’s post and then when Sylviane asked him that question he followed up with another post and then Sylviane wrote about it too. That’s what I love about blogging. You get inspiration for posts through others content and comments. Don was spot on and glad he helped Linda with her question. As you know, people are always asking me how do I get traffic to my blog and in the end that’s really the easy part. The hard part is making them want to come back for more and getting them engaged. If they’re engaged and feel like they are important then they’ll keep coming back for more. I don’t see that happening everywhere I go so I know those people will have issues down the road when it comes to people really listening and wanting to learn from them. It’s like landing on a blog post and they’re telling you how to build an engaging blog community yet they might have two comments. Really! You want me to stick around and learn from you? It’s about social proof, it’s about helping others, it’s about building a community and I’m so thrilled to see the amazing community you’ve built here too Enstine. I know I preach this a LOT but this is why. When you need help and support, your community is there for you. If you need your content shared, they will share it. If you need more comments on a post, they will help spread the word for you. That’s what it’s all about my friend. Reading posts and comments on other blogs is a great source of inspiration. The more you read, the more you get inspired and the more you write. It’s one thing to get traffic and another to keep them. What makes the difference between a traditional website and a blog is the power to keep readers coming back for more. Bloggers should strive at getting their readers sign up to their list or follow them on social media. This way, they can always be reached each time something new comes up. By the way, did you get some final solution to the attack issue? Don is definitely doing very well right out of the gate with this Enstine but I’m sure he would be the first to say that he already had “some” relationships built already although not all. We both know how powerful that can be. My issues has not been resolved yet but I think we might have a resolution. I need to discuss this further with Ashvini about how to move forward and then I’m hoping we can get this all in place this weekend. I try to be as active as possible because the more one is active, the faster the growth 😉 That’s what I think. I recently started a blog and was worried ’cause despite having some good content I was unable to drive visitors. Now I realized that I left my kingdom somewhere, time to get back. Awesome Post though. All the parts have to be balanced. Really you explained it well in this article. Keep it up bro! Content is really a king well said Enstine. Blogging network and readers are really the realm for every blogger. Hi Enstine, you have written a wonderful post with a thoughtful question but for me. every blogger is the king who dare to take challenges everyday to be the number one in blogging race and do not give up. if he/she is ever ready to take challenges and always tries to make a blog perfect with their original content. I never bother if I don’t have much readers but I always tries to implements new tricks to gain more popularity like pro-bloggers and you are one of them. Thanks for sharing this wonderful and encouraging post. I’m glad you came over and took time to read and share your point of view. Always excited to see you here so let’s keep giving. I love the post my friend! I could not agree with you more in that you need to attract visitors, give them a reason to not only visit your blog once, but continue to come back over and over. Get off your blog and go connect with others to build your kingdom! You know you add value to the post so I must say thank you for this one again. Well, it’s great Enstine. I love the way you manage your kingdom. Really, a well-explained article always gets its position on SE. By the way, I must say that the content you put is really a King. Thanks for sharing such nice thoughts. Thank you very much for sharing your great Experience….. I wish I could make the title like yours. After just reading the title I was eager to know what this post is all about. You have nicely explained all the relations here about blogging field and it’s quite impressive post for me. how is the week going ? I’m here after some week and I can see that I’ve missed some awe-inspiring contents. Anyway, I’m always love to read content marketing topics and especially this topics is purely debater for sure. lol and where is the kingdom? Do they live in the air? Thanks for sharing this Enstine. It’s really an insightful one. Hope you can enjoy your weekend! lol thanks for reading and dropping a comment bro. People always say this but no one has thought to write about the kingdom. There can never bee a king without a kingdom. What an incredibly powerful thought Enstine! And I absolutely love your advice about constantly expanding! We either have to continually grow or we risk becoming obsolete! is stiff, relentless and always very intense! place for the faint of heart! Yes, it is correct that content is king in the blogging industry. And in my opinion “If the content is king of my website then my website is its KINGDOM”, this line apply for all bloggers. Is I’m right or not? What an Unique concept you have created, king and kingdom wow!. Never seen some things like this, article is quite inspiring, well even I am building my own kingdom. thanks for sharing such wonderful piece. It is very interestingly portrayed.Ya we are trying to make our kingdom better and then the best).Thank you for this interesting and informative.